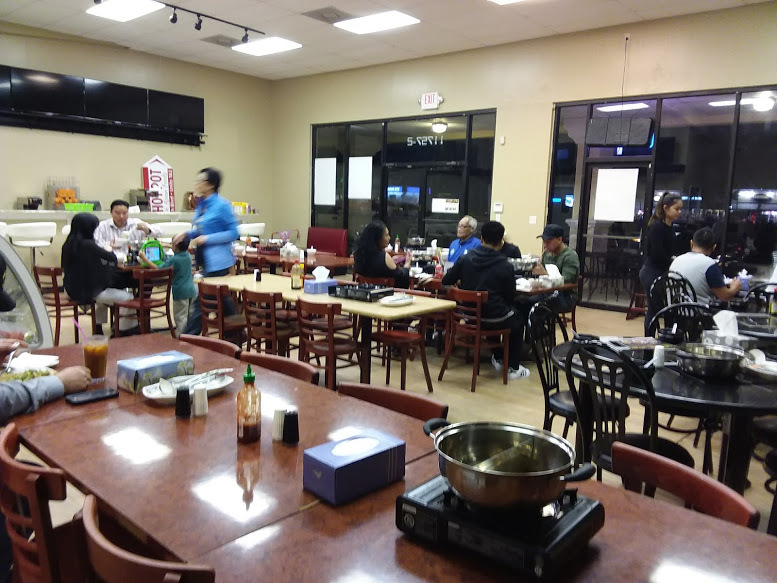 If you are familiar with La Salsa Market on Beach Blvd, let me encourage you to familiarize yourself with 904 Hot Pot. 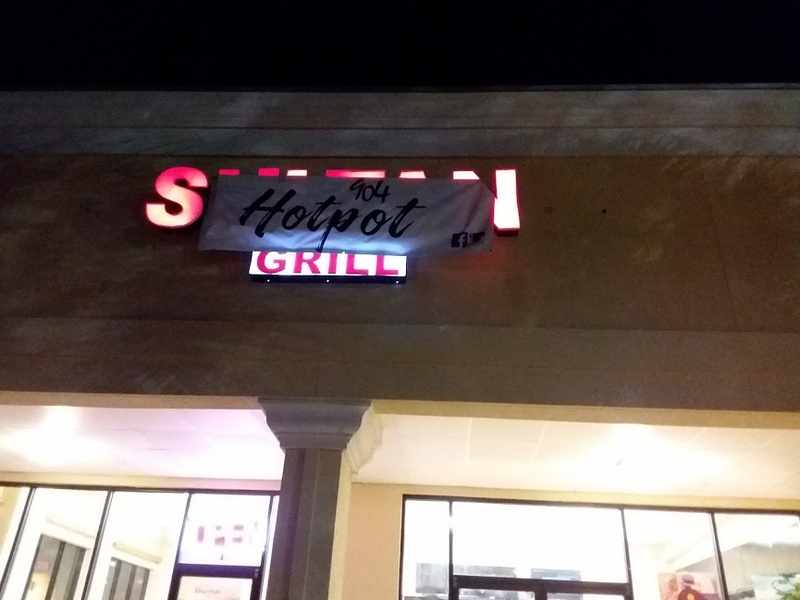 The restaurant run by the same people who own the market will surely be a hit in the community. Only open a month at this writing, a temporary outdoor sign is in place, and the interior still a work in progress, but by the crowd of people eating when we arrived no one was too concerned. 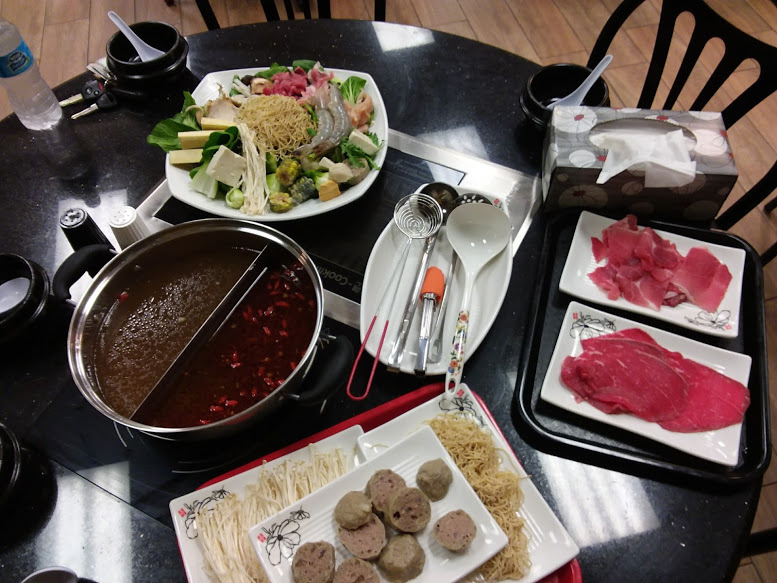 For those of you who are not familiar with this style of cooking, Chinese hot pot, is one of the most popular meals in China. 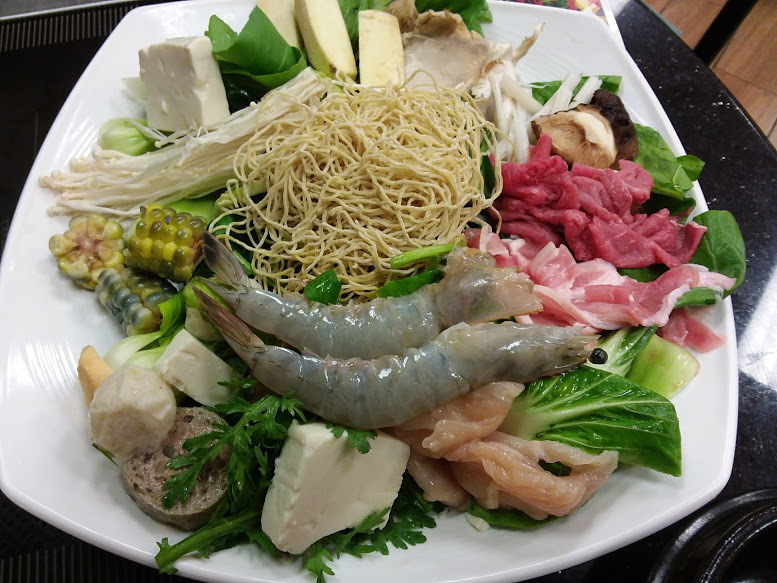 It consists of a simmering metal pot of broth at the center of a table, and all raw ingredients placed beside the container so that people can add and cook whatever they like in the broth. In Asia, this dish is a great way of socializing as well as healthy eating. A perfect cold weather dish, to warm the body it also helps to cool it in the summer. The menu offerings are plentiful and healthy. 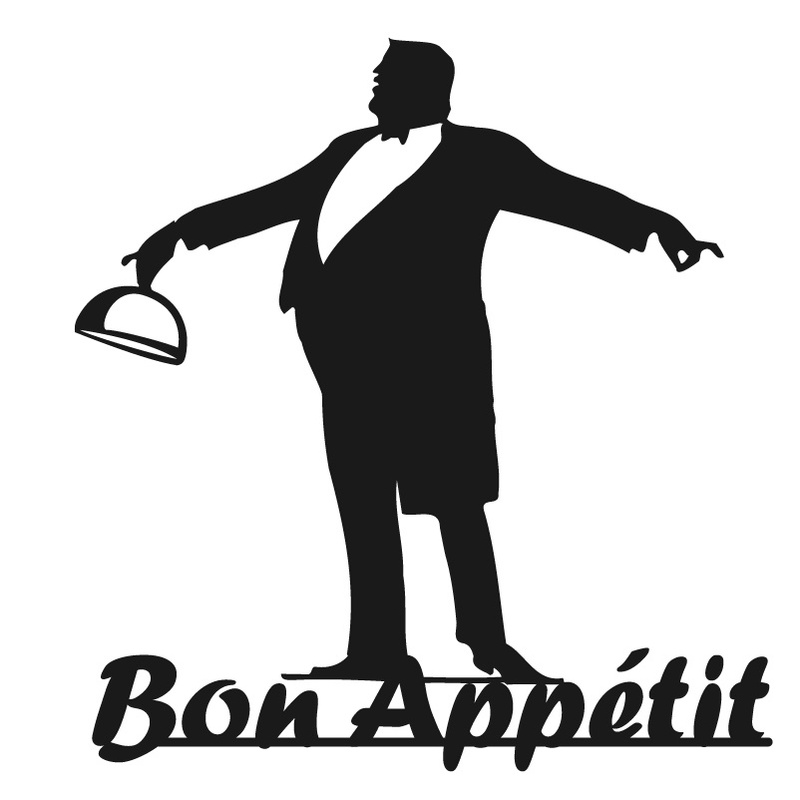 Three broth selection, as well as a la carte, are available. 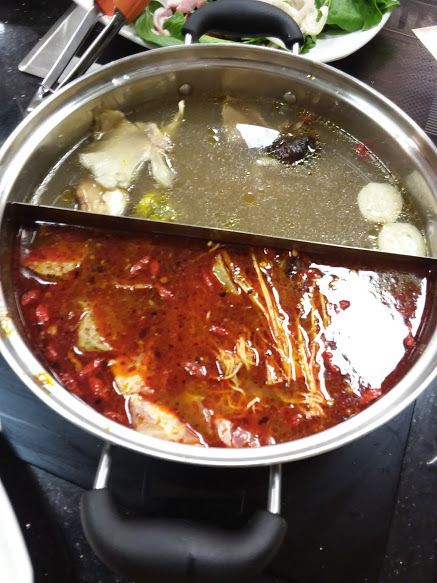 The broth at 904 Hot Pot consist of a mild meat broth, well flavored, and quite delicious, the second a Sichuan hotpot with spicy numbing heat and flavor, the last a clear broth for the mildest experience. We ordered the Tom Yam Hot Pot Combo; this was the flavorful meat broth and a multi-combination of chicken, fish, tofu, fish and shrimp balls, corn, Enoki mushrooms, and spinach with ramen. I ordered from the a la carte menu choosing the very spicy broth and added rib eye beef, pork, king mushrooms, Enoki and ramen noodles. 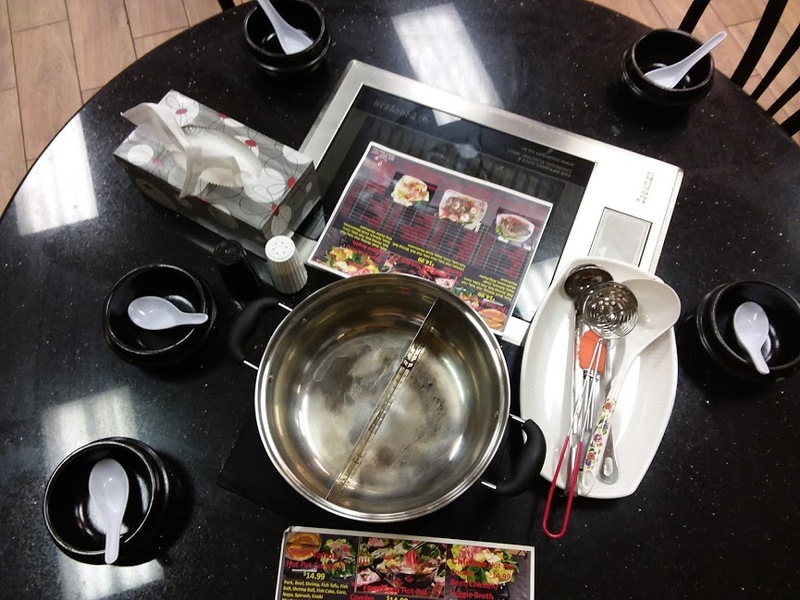 We started our cooking adventure by placing the items that take the longest to cook (meats, some vegetables) into the fire first, then we “dipped” the food that took the least amount of time in the bubbling broth. We continued in the fashion until everything was gone. Dining in this style was a delightful change of pace and a fun way of socializing with your besties. The food reasonably priced, fresh and plentiful. I highly recommend putting this on your to do list. I must add, I adore spicy food, the eye watering¸ make me sneeze kind. My experience here in town, what many call spicy I find mild. Not so here, the broth made me gasp, because it was indeed a five-alarm flavor. Speaking with the owner after dinner she shares with me she makes her spices concoction using Sichuan pepper, chilies, red chili oil. So be warned, it’s delightful but not for the weak of heart. We plan on taking some of our other friends for a meal soon; I am looking forward to it. Thanks Anna! Can’t wait to try it! Yes please do, we have been back since the post. Thanks for reading.